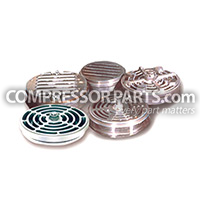 CompressorParts.com is your reliable source for top quality air cooled and water cooled reciprocating compressor parts. 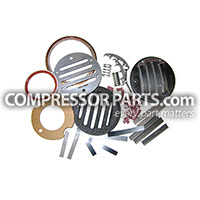 We carry thousands of reciprocating replacement parts for popular OEMs including Ingersoll Rand, Worthington Buffalo, Gardner Denver, Joy, and more. Browse in stock reciprocating replacement parts including bull rings, piston rings, gaskets, valve assemblies, o-rings, springs, plungers, and more for optimal and efficient compressor performance. For more product information or additional assistance needed, contact us today at 1-888-855-1123 and our experts will be more than glad to assist you.